Everybody knows that breakfast is the “most important meal of the day”. So, I decided to eat oatmeal for breakfast every day for a whole month to discover the results. Oats are a superfood, that is completely whole grain and contains an array of vitamins and minerals. Additionally, they are so versatile that you can eat them every morning for a month and not have the same meal twice. Since oatmeal keeps you fuller for longer, or at least gives you the feeling of satiety, and reduces your likelihood to snack. Especially when eaten with whole milk, oatmeal kept the hunger pangs away until lunchtime most days. Since oatmeal is so filling, I didn’t need to add an extra snack to my morning routine, meaning that I was consuming fewer calories overall. 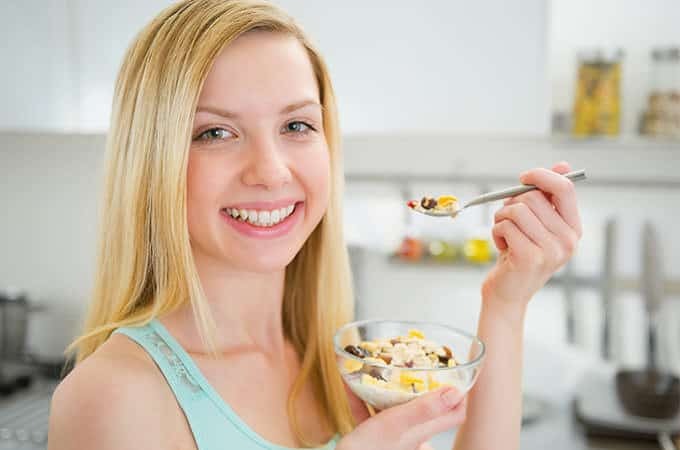 Studies that have compared oatmeal and cornflakes for breakfast showed that many who eat oatmeal for breakfast start to feel hungry later and eat less calories at their next meal. While having oatmeal for breakfast each morning brought me the consistency of a routine, it also opened the door for the possibility of variety. Each morning I can add different ingredients to my oatmeal to ensure I never get bored of this healthy breakfast superfood.